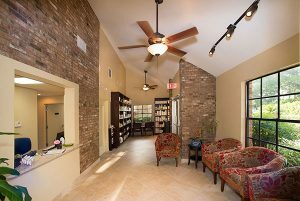 MindBodySpirit Care is an integrative and holistic medical center that provides cutting edge standard of care in comprehensive medical wellness by healing and balancing the mind, body, and spirit. Our current medical system prides itself on technological achievements that provide diagnostic and therapeutic accuracy. But the system has failed in the treatment of chronic diseases by relying on approaches that use synthetic drugs for long periods with one pill for each ill, surgical excisions if a body part is malfunctioning, or simply a wait and see approach until these interventions must be used. Expensive diagnostic tests are often employed to label symptoms as a disease without explanation for their cause. These approaches focus on elimination of the superficial symptoms of imbalanced state of health without concern for the identification and elimination of underlying imbalances. Holistic and integrative medicine believes in addressing the causes of disease instead of solely extinguishing symptoms. Unlike alternative medicine which is used in place of conventional medicine, integrative medicine combines mainstream medical therapies as well as complementary and alternative therapies, supported by high-quality scientific evidence of safety and effectiveness. Using an approach that incorporates variety of evidence based modalities of care from around the world, with an individualized holistic approach to all interconnected aspects of our well being – mind body and spirit, we look to identify root causes for the health imbalance, and create an individual plan for optimal health. An important part of the integrative medicine approach is a partnership between patient and practitioner in the healing process, giving patients an active role in their treatment and care. Combining the best of the modern sciences and the best of the scientifically sound ancient arts of healing, we seek to empower and lead you to live a long, healthy, and vibrant life. The mind motivates, the body responds, and the Spirit oversees this holistic process. Wishing Us All a World of Wholesome Health.